Tokina FE AF lenses are coming! According to the latest rumors from Lens-Rumors, two Tokina AF lenses for Sony E-mounts will be announced at the end of 2017. One is an ultra-wide AF lens and the other is a fast wide AF lens. Both the lenses will start shipping in early 2018. The source also says, Tokina will announce a Zoom FE autofocus lens in 2018 too. 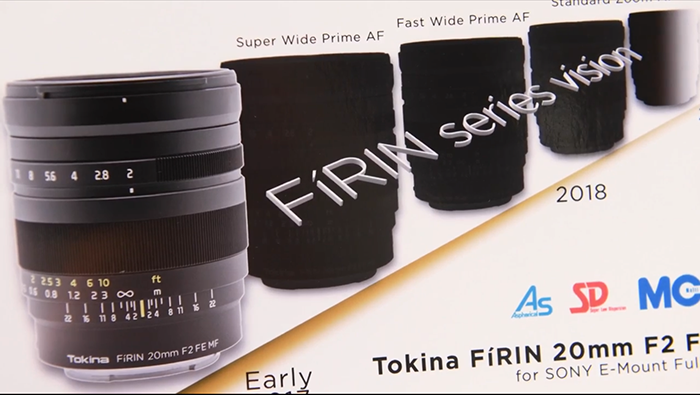 Last year, Tokina announced the Firin 20mm F2 FE MF lens (Amazon/ B&H/ Adorama) for Sony. They are now evaluating the sales of this lens.